The cancellation of the March in March event may be a sign that it’s time for American River College’s Associated Student Body boards to rethink their approach to advocacy and representation. The original March in March took place in 2003, when thousands of students protested against fee hikes and state budget cuts to the community college system. Last year’s March in March saw under 200 students in attendance. This year, there will be no March in March, at least not officially. 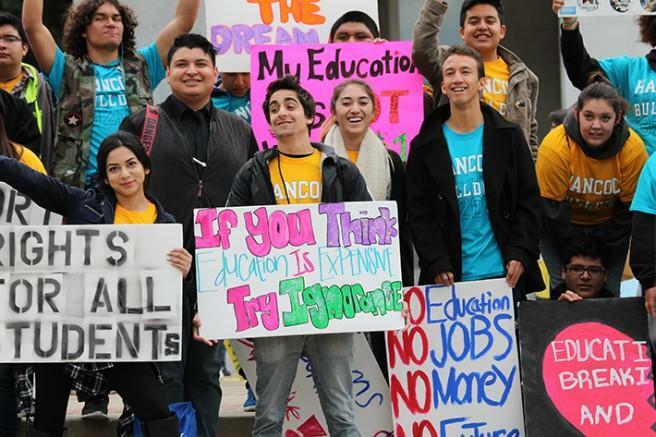 The event, coordinated by the Student Senate for the California Community Colleges (SSCCC), has been cancelled due to a lack of funding and licensing, according to their website. The article proposes a number of alternatives to the cancelled event, from a walkout in the middle of March, to another March in March type event, but in April. Although once a gathering place for resounding student voices, March in March has dwindled in both its presence and effect. It is exhausted, ineffective, and outdated. Seeing that ARC spent $17,000 last year on March in March, and only had 23 students to show for it, our ASB should not see the March in March fallthrough as a setback. Rather, it is an opportunity for introspection and adaptation. The Student Rep Fee (SRF), established by California Education Code section 76060.5, is an optional $1 fee we pay per semester to our ASB. These are the funds that are used to pay for student advocacy, like March in March. According to the Student Fee Handbook published by the Chancellor’s Office for California Community Colleges, these funds may be used for any purpose related to representing the views of students with governmental bodies. Seeing there are over 30,000 students at ARC, this is a theoretical $60,000 per year. These funds are used to rent buses, purchase March in March branded t-shirts and provide food and refreshments to incentivize students to attend the March in March. One has to question what dusty boxes of March in March t-shirts of years past have to do with the interests of your everyday American River College student. The SRF is often used to make donations to the SSCCC. Last year ASB donated $9000. Yet this is an organization that is even more unknown to our students than our very own ASB. Shouldn’t ASB focus on connecting with ARC students so they can effectively represent us at the state level in SSCCC? ASB needs to use the SRF to connect with the campus it is supposed to represent, and it has both the funds and legality to do so. Legal Opinion 95-24 states that SRF funds can be spent on advertisements in either local or campus newspapers consisting of information on legislative issues of interest to the student body. Why not create pamphlets for student senators to hand out in classes informing students that there actually is an ASB on campus? The boards could create student voter guides specializing in analysis of issues directly impacting college students. It is clear that the current methods and spending on the part of student government are largely ineffective, and ASB should implement new strategies when it comes to connecting with the students they represent. Be the first to comment on "Editorial: ARC ASB is better off without March in March"